If you’re looking for a fun-filled activity that you can do as a family in the Houston area, look no further. For there are several waterparks to help you do exactly that. Believe it or not, there are nine waterparks in the Houston area, and over seventy in the state of Texas. With that many a number, you can surely find a fun waterpark or aquatics center with ease, no matter where you live, or where you are going. With the summer season on, now is the best time of year to put on those swim suits, and head to a waterpark with your family in tow. Wondering where to go first? Here are a few waterparks you can start with! Known for its grand May 28, 2016 opening, this waterpark offers a wide range of family-friendly features at very affordable rates. Not only are there slide racers, slide boarding, a wave pool, and of course, lots of slides, there is a special kids aqua area meant for young children. This family-friendly waterpark has several features to keep the entire family entertained, from wave pools, lazy rivers and zip lines, to tube and speed slides and kiddies areas. What really sets this waterpark apart is the fact that they offer opportunities for a myriad of fun activities like fishing, camping, arts and crafts, Christian music, S’mores and others. You can bring in your own food, beverages and coolers, and are welcome to make use of the free parking, life jacket and inner tube. This waterpark has “something for everyone” as its motto, and indeed stays true to it. With a heated pool, a lazy river, a swim-up bar, boogie boarding, zip lines and kids areas, not to mention a wide range of slides, there’s nothing that this waterpark doesn’t offer. Those looking for free parking, free inner tubes, and picnic opportunities will find themselves very lucky here. Designed keeping a family experience in mind, Wet’n’Wild Splashtown offers exactly that. This waterpark’s family rides are suitable for all kinds of families, while the kids rides are specially made to suit children of all ages. Thrill rides are meant for the older, and perhaps more daring family members. The park is brimming with features, from racing slides, tubes, a wave pool, a lazy river, a three story treehouse with water structures for small children, as well as a special children’s activity pool. Much like its name, this waterpark has enough to have you and your kids coming back for years. If the lazy river, mat racers, body slides, wave pool, tube slides, drop slides, and the children’s play structure weren’t enough, Pirate’s Bay also has other fun features like water guns, large dumping bucket, and spray nozzles, among others. What really sets this place apart, however, is the fact that it offers swimming lessons for the novice as well. Known for its free services and wide range of fun events, Palm Beach has a myriad of attractions that include a splash pad, a wave pool, a lazy river and two tower slides. It also has a water playground area for those looking to play in the water. There are several free amenities such as lounge and beach chairs, umbrellas, lounge chairs, and a volleyball court, as well as affordable rent-able ameneties such as bamboo lounge chairs and beach cabanas. Some of the unique attractions of this place include fun-filled family events such as bands on the sand and dive in movies. If you’re looking for an experience that’s part-waterpark, part resort, you should head over to Woodlands. Not only is the resort ideal for families looking for a little break from their daily schedule, it is also ideal for those looking for a waterpark to visit. Having recently added a mini-waterpark to the resort, the Woodlands Resort has five swimming pools, three water slides, a hot tub, a splash pad, a lounge pool and a lazy river, among others. Though it is not really a waterpark, the Noah’s Ark Pool is a great water pool, especially for children of all ages. Not only do they have features made for young children, they have dual diving boards and dual slides that are designed specifically keeping older children in mind. While this is not a waterpark in the strictest sense of the word either, it is still a fun place to visit. The aquatic center has several features that make it ideal a family outing, from a diving well to a lap pool, and of course a leisure pool. 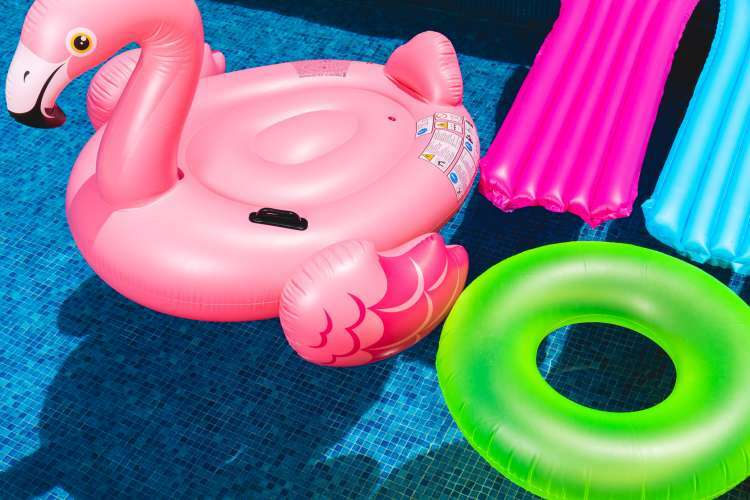 The leisure pool has additional features such as a big slide, small dumping structures, a dumping bucket, and a small frog slide, among others, which make it a massive attraction for children.